Doyle Brunson returns to the Rio on Tuesday looking for bracelet #11 in his final WSOP event. Who says Mondays are bad? 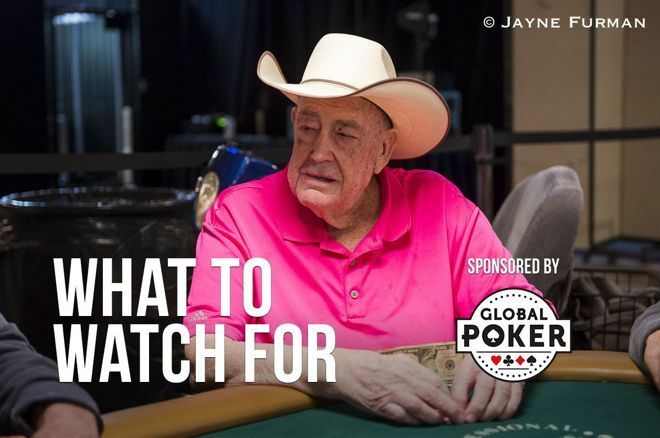 For poker fans, Monday was huge with the entry of Doyle Brunson in Event #23: $10,000 No-Limit 2-7 Lowball Draw Championship in what he says will be his final tournament appearance. After late registering, Brunson made it into the money and survived the day, and today will return for Day 3 and a shot at an 11th career bracelet as he sits fifth in chips with 11 players remaining. Brunson spoke with PokerNews about joining the event yesterday after being away from the WSOP for a while. In other action, some big names advanced to Day 3 of Event #21: $1,500 No-Limit Hold'em MILLIONAIRE MAKER including Main Event champions Joe McKeehen and Greg Merson as well as former November Niners JC Tran and Joseph Cheong. Red-hot Elio Fox also advanced and like others today continues the quest to claim the seven-figure first prize. Day 2 of this event played out on Monday after which 1,104 players still remain. Leading the field is Aaron Messmer with 1,089,000 chips followed by Clyde Shimp (978,000) and Manig Loeser (914,000). Fox already this summer won Event #2: $10,000 No-Limit Hold'em Super Turbo Bounty for $393,693 and his second WSOP bracelet. Fox also finished runner-up in Event #5: $100,000 No-Limit Hold'em High Roller for $1,798,658. The MILLIONAIRE MAKER drew 7,361 entries and features a $9,937,350 prize pool. The winner takes home $1,173,223 and the championship bracelet. Day 3 of this four-day event kicks off on Tuesday at 11 a.m., which is when all the live updates will begin here on PokerNews. One day of play may have been in the books, but it was a player who registered on Day 2 who drew the biggest buzz in the Rio on Monday. 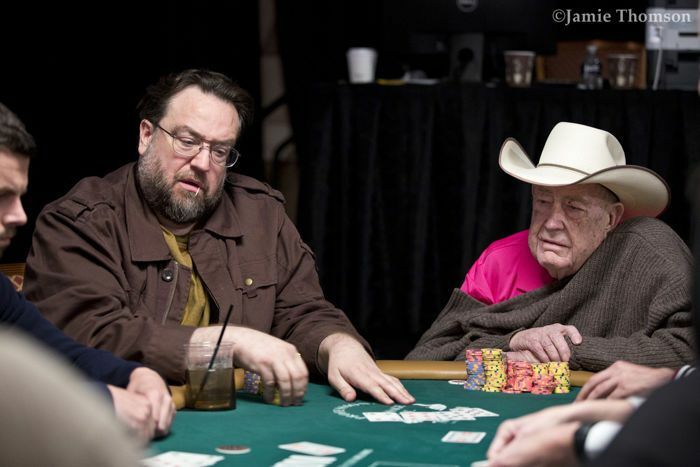 After being away from the WSOP for a few years, 84-year-old Doyle Brunson returned to the WSOP to play the $10K 2-7 NL Draw Championship after announcing it would be his final tournament. 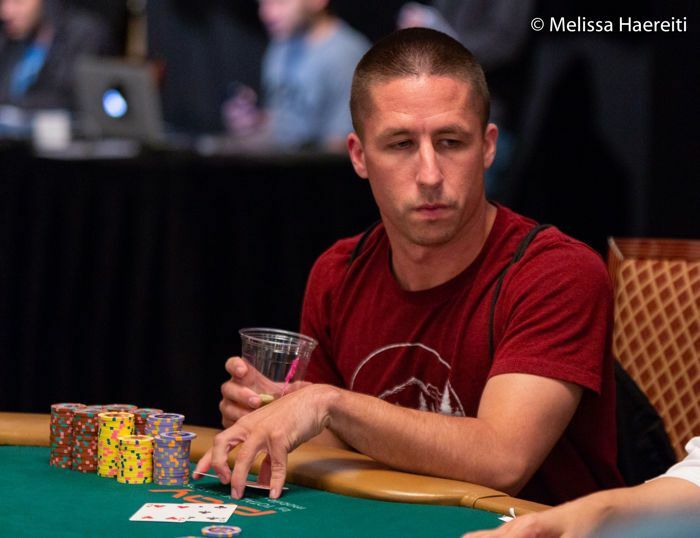 While Brunson doesn't play at the WSOP much anymore because of the long hours required, the option to late register at the start of Day 2 of a three-day event made it a little more palatable. "My son texted me that it would be about the only chance that I might have to play this year," Brunson said. "The hours are too long and my wife won't go to sleep until I get home. She's not in real good health, so I figure after 57 years I owe it to her to go home." "Deuce-to-seven has always been my favorite game. And today is just an opportunity." The 10-time bracelet winner and Poker Hall of Famer was a chip leader much of the afternoon, even running first and second with his son Todd Brunson at one point. In fact, the pair were seated next to each other for a time. Ultimately, Brunson finished the day fifth in chips (470,500) while Todd finished ninth (185,000) with 11 players returning. Mike Wattel leads with 1,293,000 chips followed by Shawn Sheikhan (645,500), Galen Hall (517,000), and Brian Rast (477,000). Others remaining include Farzad Bonyadi (440,500), Dario Sammartino (394,000), and John Hennigan (87,000). This event attracted 95 entries for a prize pool of $893,000 with $259,670 going to the winner. All players are now in the money and 11th place will pay $18,955. Play resumes on Tuesday at 2 p.m. and PokerNews will have all updates in this event. Click here to follow along. Fans can also catch Doyle's final WSOP tournament live streamed on PokerGO. The starting gun sounds and the runners are off — 1,479 of them, to be exact, in this latest edition of THE MARATHON. Of those, 706 return for a second day of play on Tuesday. The field should grow, however, as players have until the second level of Day 2 to register. Joshua Smith (234,800) leads after Day 1 in this five-day event that features 100-minute levels. Running just behind Smith are Pablo Fernandez Campo (230,900) and Sanjay Dulabh (230,200). Others returning include Olivier Busquet (148,000), Scotty Nguyen (133,000), Gaelle Baumann (131,600), Faraz Jaka (119,000), Martin Jacobson (63,200), Jesse Sylvia (53,700), Kristen Bicknell (51,400), Cate Hall (47,900), Dzmitry Urbanovich (47,100), and Cliff Josephy (42,600). The race restarts at 12 noon and PokerNews will be in this one for the long haul with updates until the finish line. Click here to follow along. This stud hi-lo event got going on Monday with 596 entries and 174 players moving on to Day 2. Leading the field is Trent Gundrum with 72,000. Rounding out the top five at present are Ryan Himes (71,600), Eli Elezra (71,500), Max Hoffman (70,700), and Tom McCormick (67,400). Other notables returning today include Matt Savage (46,700), John Holley (38,900), Brian Hastings (37,400), and Frankie O'Dell (37,000). Play resumes at 2 p.m. on Tuesday and PokerNews will have all the all the high and lows of this split-pot fun. Click here for the live updates. It's bargain PLO day and this lower-price point event should bring a hefty field. In the three-day event, players begin with 5,000 chips and levels are 60 minutes. Tyler Groth won his first bracelet in this event last year $179,126. He added his first World Series of Poker Circuit ring in February right here at the Rio. The game? Pot-limit Omaha. Can Groth earn yet another PLO title? 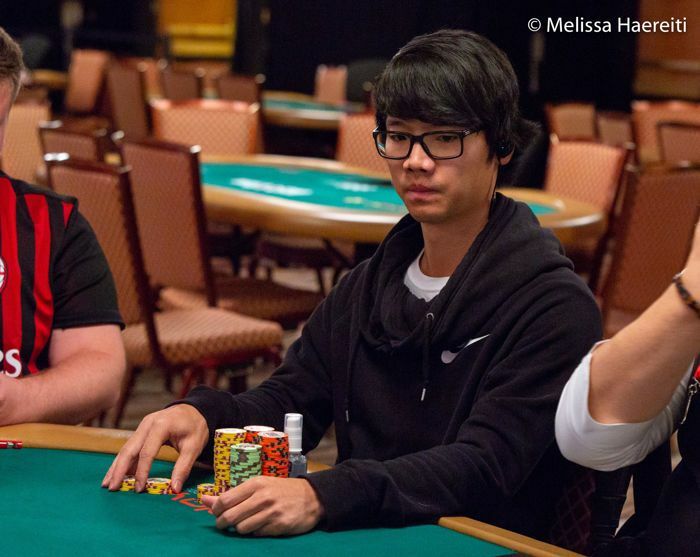 Find out when play gets underway at 11 a.m. as PokerNews will bring you all the big pots and big hands. With the $1,500 H.O.R.S.E. complete (won by Andrey Zhigalov for $202,787), the higher buy-in version of this popular event should bring in plenty of recognizable names to poker fans. Players start with 50,000 chips and 60-minute levels. Georgia's David Bach won the title last summer, winning his third bracelet and $383,208 just days after winning his second bracelet in the $1,500 Dealer's Choice event for $119,399. Play starts at 3 p.m. and PokerNews will be in the saddle to deliver all H.O.R.S.E. updates.